So let’s play! 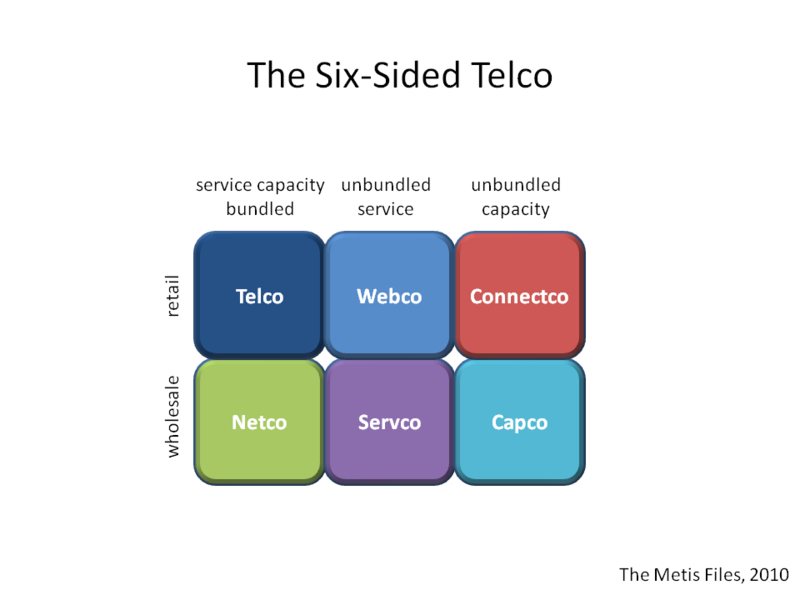 The telco die has six sides. 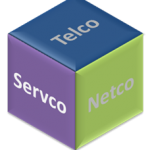 Telco, netco, webco, servco, capco, and connectco. These sides are not just arbitrary positions. They are real business models that exploit retail and wholesale markets in the context of bundled capacity/service, unbundled capacity and unbundled service. Let’s explain. In telco terms, retail is the sale to users and wholesale is the sale to other value chain players. Bundled service/capacity is the combined sale of service and capacity, for instance the mobile voice service you currently get from your mobile operator. 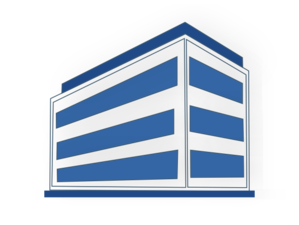 Unbundled capacity is the sale of capacity without a service attached to it, for instance a leased line. 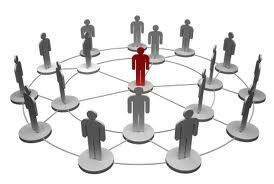 Unbundled service is the sale of service without capacity attached to it, for instance web conferencing. The figure below lays it all out. Why is this relevant? Communications revenue growth is flattening worldwide, and while there is still growth in emerging markets, the developed world is becoming saturated. A recent study by IBM paints four scenarios of the telecoms world in 2015, none of which predict the growth of communications revenue, and all predict the growth of connectivity and content revenues. We believe that in order to thrive in these scenarios telcos should examine which of the six roles they want to mix and match for maximum competitive value and profitability. This is an elaboration on what it is now commonly known as the two-sided telco, where the two sides are upstream (retail) and downstream (wholesale). Let’s examine the six sides of the Telco die. Side 1, the telco. This is the traditional retail telco that sells service/capacity bundles such as voice services to consumers and business. Today, the most popular bundles are voice, mobile voice, broadband, mobile broadband, and digital TV. The multiplay telco successfully creates bundles of these on the same capacity. Side 2, the netco. This is the traditional wholesale telco that sells service/capacity bundles such as voice services to other telcos or other businesses. These other players resell and add value to these bundles. Side 3, the webco. This is the over the top player position that web players such as Google, Facebook, Twitter, and Skype enjoy. These companies sell services to consumers and businesses over the top of capacity networks. Side 4, the servco. 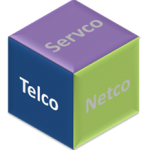 The servco sells unbundled service to wholesale customers. This is the telco that sells subscriber data to advertisers, or anonymized location information to traffic information providers or wholesale IP TV to operators. Side 5, the connectco. 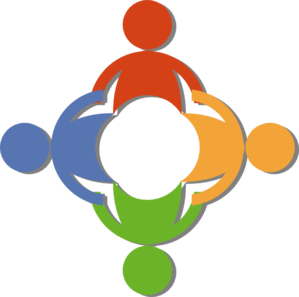 The connectco sells unbundled capacity to retail customers. This is the telco that sells ethernet or fiber or 3G/4G connectivity to businesses. Side 6, the capco. 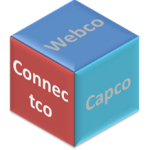 The capco sells unbundled capacity to business customers. This is the telco that provides access to a VNO on its network. Or the municipal network that has multiple VNOs. The VNO is a telco that does not own or operate its own network. With the introduction of fixed and mobile broadband services, the retail side of the business is ultimately moving to a breakup into webcos and connectcos. 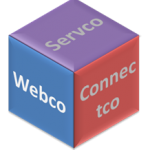 Webcos are the Facebooks, Skypes, and Googles of this world, and connectcos represent the so-called dumb pipes. The telco challenge is to profitably ride out the current business model whilst at the same time positioning for the new world. This process will likely be drawn out over a considerable number of years. 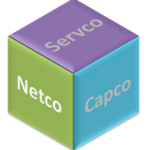 On the wholesale side, the netcos that are reselling traditional service/capacity bundles will transition into a breakup into servcos and capcos. Servcos are an unknown beast at the moment. They can be aggregators of content and customer data, as we highlighted above. They can also be the integrators that add value to capcos. 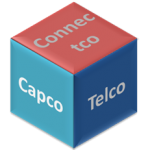 Capcos are likely to be joint ventures of telcos to share infrastructure or public/private partnerships in municipal networks for instance. 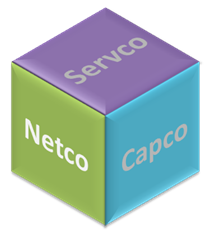 It is also likely that these capcos will be run by network equipment manufacturers such as Ericsson and Alcatel-Lucent. Ultimately, those telcos that are able to mix and match these six roles for maximum competitive value and profitability will win. Do you like their odds? Or is it a crapshoot? Let us know!